John Sawyer earned his Ph.D. in social, organizational and industrial psychology from the University of Illinois. He is a professor of management in the Alfred Lerner College of Business and Economics. Over the past decade, Sawyer’s research has focused on contextual effects on negotiations and on science and technology management, from research and development (R&D) to market implementation. 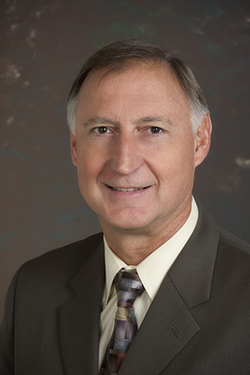 His research has been published in top academic journals in business (e.g., Academy of Management Review and Journal of Organizational Behavior), applied psychology (Personnel Psychology and Journal of Applied Psychology), decision processes (Organizational Behavior and Human Decision Processes), engineering management (IEEE Transactions on Engineering Management), and organizational design (Journal of Organization Design). Sawyer has conducted research on virtual teams and R&D management with Cisco Systems and DuPont Corporation, and safety climate at Dow Chemical Company. He has provided training and development consulting with companies such as AstraZeneca, DuPont Pharma, Hercules, Genentech, Delmarva Power and Warner-Lambert. Sawyer serves on the editorial boards of Organizational Behavior and Human Decision Processes, Journal of Behavioral Decision Making, and Journal of Applied Behavioral Science, and is past member of the editorial boards of the Journal of Management, IEEE Transactions on Engineering Management, and the Academy of Management Journal. He has served on the advisory panels of the National Science Foundation, Social & Behavioral Science Directorate, Innovation & Organizational Change, and Human & Social Dynamics programs; and on the Research Grants Council of Hong Kong. Pinkley, R. L., Conlon, D. E., Sawyer, J. E., Sleesman, D. J., VandeWalle, D., & Kuenzi, M. (2019). The Power of Phantom Alternatives: How What Could Be Haunts What Is. Organizational Behavior and Human Decision Processes, 151, 34–48. Griffith, T. L., Nordbȁck, E. S., Sawyer, J. E., & Rice, R. E. (2018). Field study of complements to supervisory leadership in more and less flexible work settings. Journal of Organization Design, 7(1), 10. Conlon, D. E., Pinkley, R. L., & Sawyer, J. E. (2014). Getting something out of nothing: Reaping or resisting the power of a phantom BATNA. In O. B. Ayoko, M. Ashkanasy, & K. A. Jehn (Eds.) Handbook of Conflict Management (pp. 328-342). Edward Elgar: Northampton, MA. Griffith, T. L., & Sawyer, J. E. (2010). Research Team Design and Management for Centralized R&D. IEEE Transactions on Engineering Management, 57(2), 211–224. Griffith, T.L., & Sawyer, J.E. (2010). Multilevel Knowledge and Team Performance. Journal of Organizational Behavior, 31(7) 1003-1031. Griffith, T. L., & Sawyer, J. E. (2006) Supporting technologies and organizational practices for the transfer of knowledge in virtual environments. Group Decision and Negotiation, 15(4), 407-423. Sawyer, J. E., Houlette, M. A., & Yeagley, E. L. (2006). Decision performance and diversity structure: Comparing faultlines in convergent, crosscut, and racially homogeneous groups. Organizational Behavior and Human Decision Processes, 99(1), 1-15. Griffith, T.L., Sawyer, J.E., & Neale, M.A. (2003) Virtualness and knowledge in teams: Managing the love triangle of organizations, individuals and information technology. MIS Quarterly, 27(2), 265-287. Sawyer, J. E., Latham, W. R., Pritchard, R. D., & Bennett, W. R., Jr. (1999). Analysis of work group productivity in an applied setting: Application of a time series panel design. Personnel Psychology, 52, 927-967. Woodman, R. W., Sawyer, J. E., & Griffin, R. W. (1993). Toward a theory of organizational creativity. Academy of Management Review, 18, 293-321. Best Empirical or Theoretical Paper Award, 2017, Academy of Management, Conflict Management Division for “Unpacking BATNA Availability: How Probability Can Impact Power in Negotiation. Dow Electronic Materials. “Safety Culture: Plan, implementation and test of a safety culture intervention at Dow Electronic Materials.” February – November, 2012. Delaware Valley Innovation Network (DVIN) Innovation Investment Education and Outreach grant. “Professional Science Masters in Biotechnology Program Development. June – December 2009. NSF SES-0422772, “Collaborative Research: Knowledge, Innovation, and Virtual Work in Science and Engineering Organizations,” July, 2004 – December, 2007. NSF DGE-0221651, Integrative Graduate Education and Research Traineeship (IGERT) Program “Multidisciplinary Graduate Program in Biotechnology.” under the direction of Mary J. Wirth, Abraham M. Lenhoff, John E. Sawyer, John F. Rabolt, Mary C. Farach-Carson. FY 2003-2008.